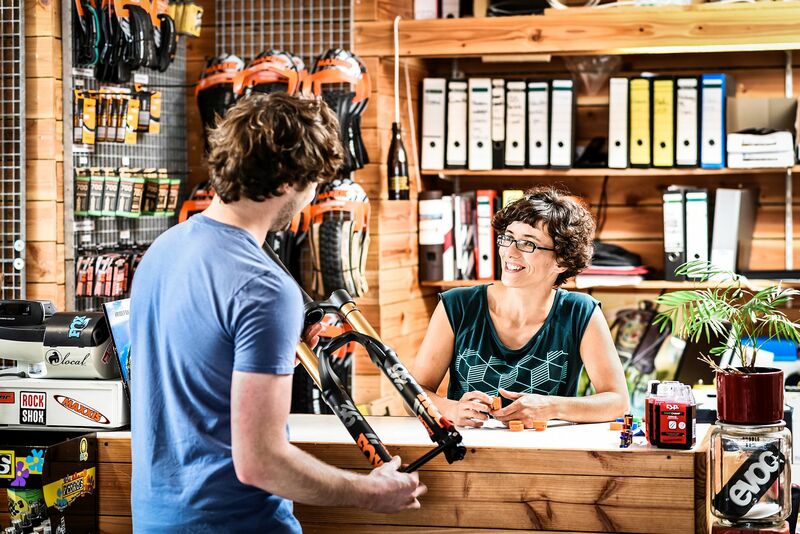 Your mountainbike suspension is always working hard – treat it to a visit to a Dämpferklinik for reliability and performance. Want to know how it's done? And why? Local suspension service. Or by mail. 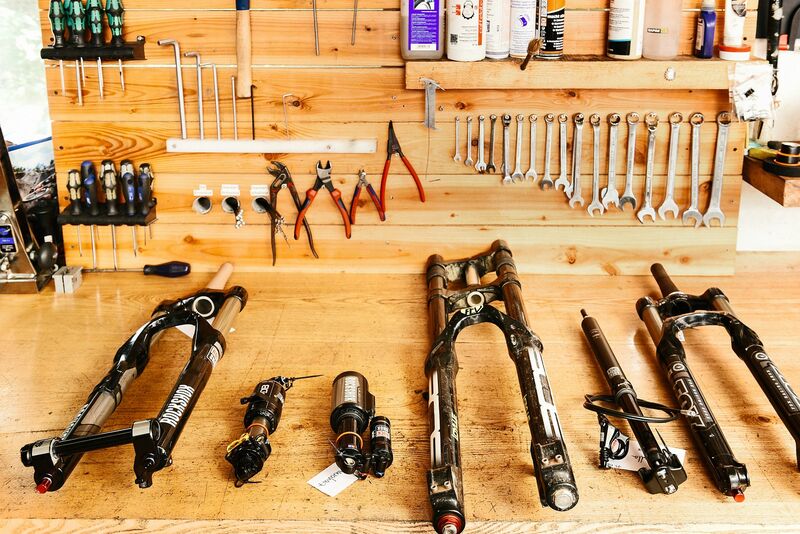 Suspension – the heart of your bike. Your suspension gives you that exciting, unique mountain biking experience, getting you safely through the toughest terrain. Without regular maintenance, sooner or later your suspension will run dry, dirt and grit will find their way in to your casting or air can and seals will wear down. 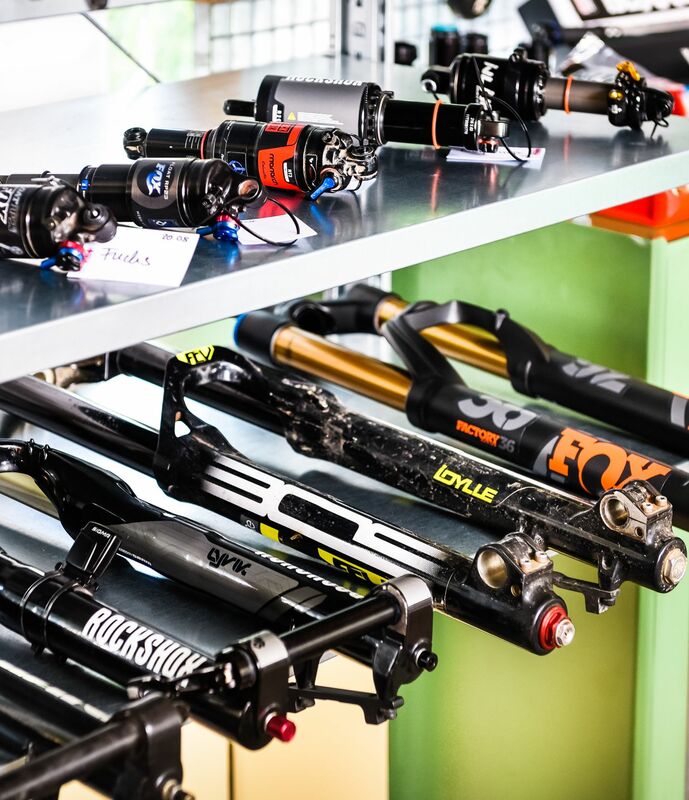 Your RockShox Pike is becoming stiff? The Fox Float RP23 is making unusual noises? Then it’s clear: it’s high time for a service, making sure you have the most fun with the safe suspension. “The service for my RockShox Pike RCT3 was really quick. It was great for the flow for my following Swiss tour.” Hans W.
“I was really impressed by the great service, thanks Dämpferklinik!” Karen L.
“Professional service at a fair price and experienced staff, too. Just the way we like it” Alex und Helen H.
“I really put my Cane Creek Double Barrel Air through the mill – but after the service at Dämpferklinik is was as good as new.” Karsten O. Suspension service is worth it. A full service has the potential to fix a number of defects and see to a loss of function. Too little or dirty oil in the fork or shock results in a loss of function, making biking less fun. Seals wear and tear over time, regularly changing them is a must. Forks particularly suffer from dirt and grit in the casting. Send it for service before the stanchions are permanently damaged. If your brand isn’t listed here still – get in touch. While we do service most of the models of the above brands it may be that there are some rare exceptions.